When taking a road trip, especially one to Grandma's house, the drive can seem endless. To the point where time doesn't just stand still... it moves backwards. 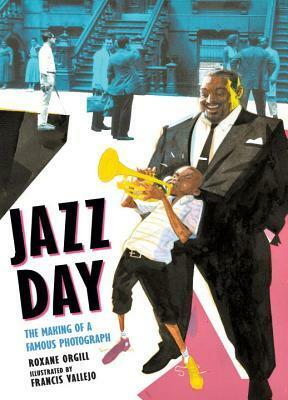 All I can say about this book is that Dan Santat is a genius. This book is cray... And I mean that in the best possible way. From time moving so slow you have to read the book backwards, to robots talking in QR codes, and even the beloved Beekle making a surprise appearance, Are We There Yet? is sure to entertain the most discriminating readers. Despite winning the most coveted prize in children's picture book illustration last year, Dan Santat continues to push himself creatively and artistically, which for many people would be hard to do after experiencing such a career high. In Are We There Yet? Santat returns to his more humorous side that we're used to seeing in his books, but he found a way to show his readers that he's trying new things and not resting on his laurels. 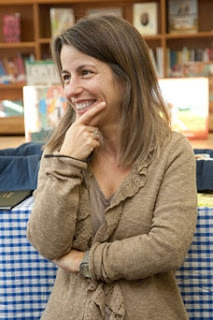 While I certainly love The Adventures of Beekle, I almost love Are We There Yet? 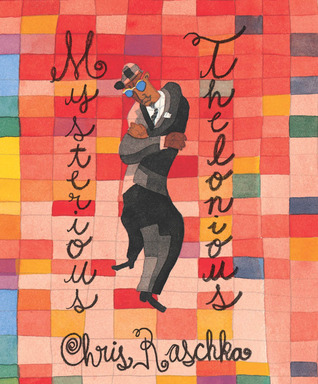 more (almost) because my appreciation for Santat's work went from excited for his Caldecott win to realizing he is a full-fledged artistic genius. 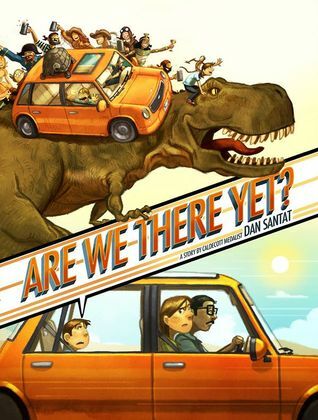 Check out the fabulous book trailer for Are We There Yet? 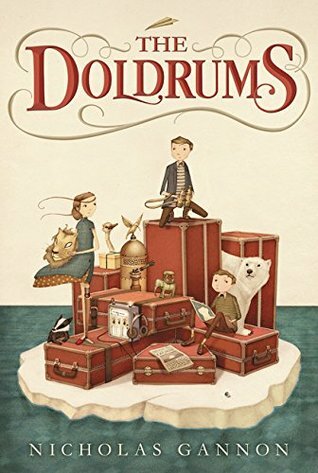 Lovers of Lemony Snicket, Neil Gaiman, and Roald Dahl (there's quite the Trunchbull-like character in this novel) will surely find nothing dull about The Doldrums, the story of a young Archer Helmsley who lives with his parents in the house formerly occupied by his grandparents. While Archer has never met his grandparents, he feels very close to them and wishes he could accompany them on their great adventures around the world. Instead, he must be reminded daily by his mother that life should be lived with an abundance of caution because no one wants to end up presumed dead as a result of a rogue iceberg in Antarctica like his grandparents. 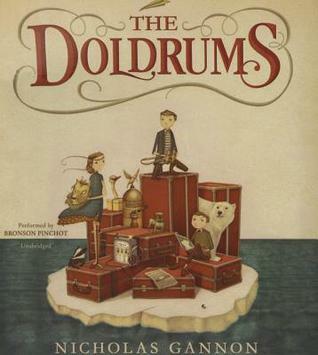 But Archer is convinced that his grandparents are in fact alive and he enlists the help of his two friends -- Adélaïde L. Belmont who moved to their little town from France and claims she lost her leg to a crocodile, and Oliver Glub, who is as practical as Archer is impetuous -- to accompany him to Antarctica to find them. 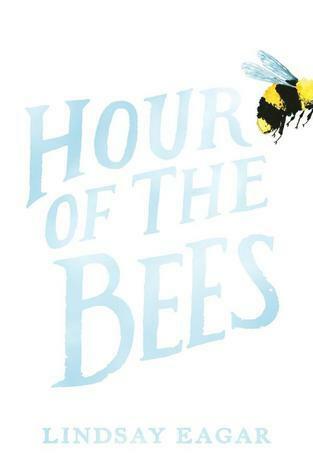 I listened to the audiobook of this novel, but also checked out a physical copy of the book at the library so as not to miss out on the stunning color illustrations that reminded me a bit of Molly Idle's style. 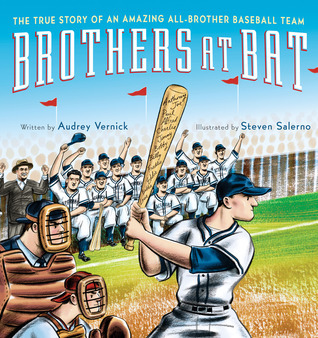 Bronson Pinchot narrates the audiobook and does a fabulous job. After listening to him narrate The Hero's Guide to Saving Your Kingdom, I already decided that if I ever saw him narrate another audiobook, I would listen to it regardless if I wanted to read the book or not. His voices are always so full of life and character. I especially loved how Pinchot interpreted the character of Oliver Glub, someone who knows how to rock a lisp. 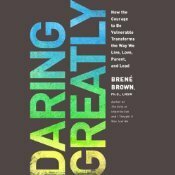 Spare yet profound text brings in lessons of mindfulness, taking risks, and enjoying life. 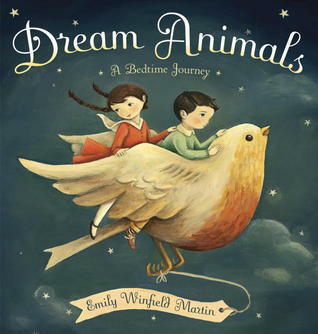 The gentle, friendly illustrations give the reader a sense of inner peace and stillness. Definitely a must-read. 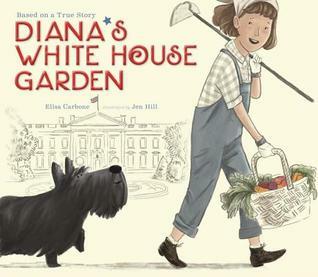 Wonderful story of the young girl who helped tend the White House Victory Garden during World War II. Makes you wonder why more of us don't have our own gardens. I'm glad to see the movement of community gardens returning. 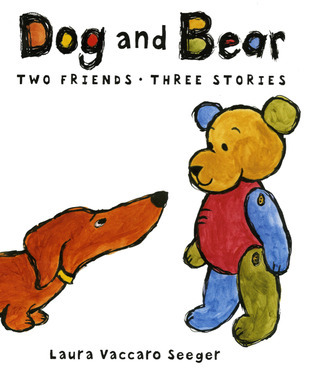 Lovers of Elephant and Piggie are sure to draw comparisons to Dog and Bear, two unlikely but adorable friends. I could have finished this last night, but I was tired and didn't want to fall asleep reading it. 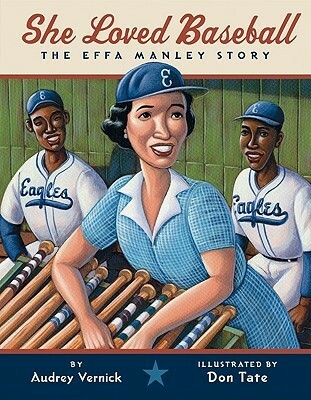 I want to give this beautiful story my full, undivided attention. So I will likely finish it today. Even though I'm listening to this on audio, I also have a physical copy from the library so I can take notes on important points I want to always remember and be able to reference in the future. 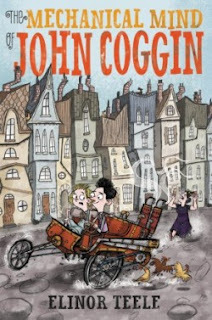 Thank you to Walden Pond Press for inviting me to be part of The Mechanical Mind of John Coggin blog tour! 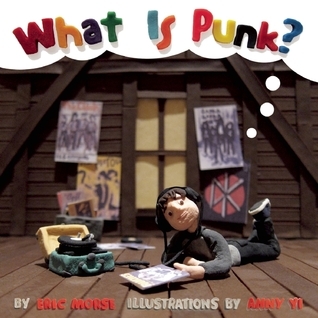 And thank you to Ben Whitehouse for the illustration for this blog tour. 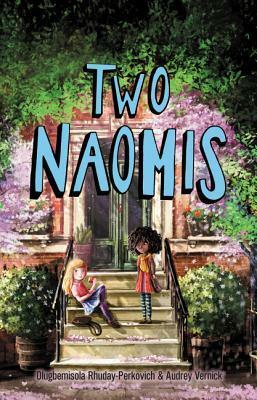 Roald Dahl meets The Penderwicks in this quirky, humorous, whimsical, and heartwarming middle grade debut about two siblings who run away from home to escape working in the family coffin business. John Coggin is no ordinary boy. 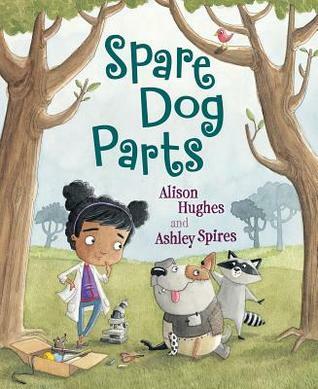 He is devising an invention that nobody has ever seen before, something that just might change the world, or at least make life a little bit better for him and his little sister, Page. But that’s only when he can sneak a break from his loathsome job—building coffins for the family business under the beady gaze of his cruel Great-Aunt Beauregard. When Great-Aunt Beauregard informs John that she’s going to make him a permanent partner in Coggin Family Coffins—and train Page to be an undertaker—John and Page hit the road. 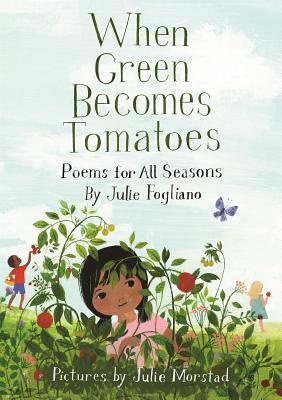 Before long, they’ve fallen in with a host of colorful characters, all of whom, like John and Page, are in search of a place they can call home. But home isn’t something you find so much as something you fight for, and John soon realizes that he and Page are in for the fight of their lives. 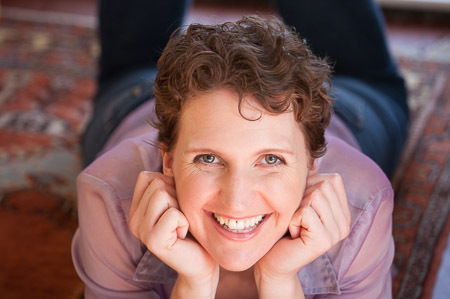 Visit Elinor Teele's website to learn more about the author. 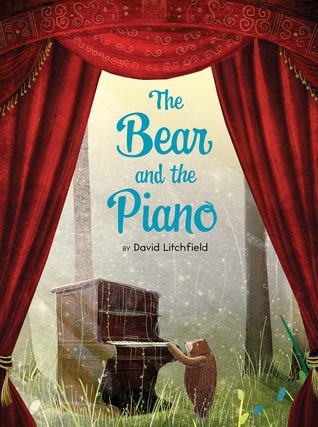 David Litchfield, you had me at piano. And you kept me turning pages at this tender, quirky prodigal son story. Ame Dyckman and Zachariah OHora are a dream team. 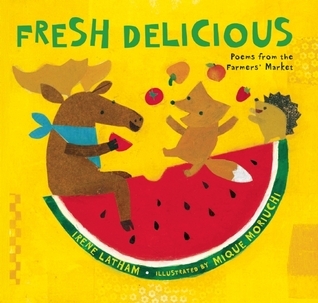 I hope they never stop making picture books together. 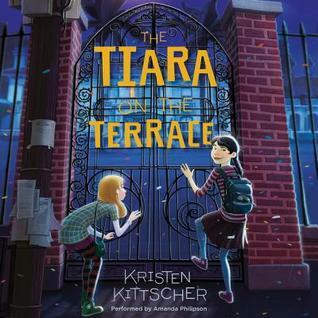 Their work has just enough quirkiness to be unique and appealing to adults, but not so much that it's inaccessible to kids. 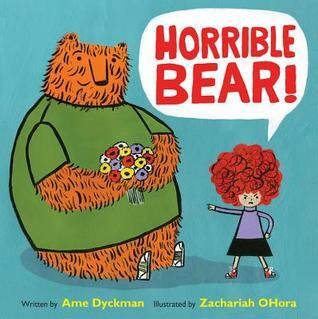 I especially love that some beloved characters from previous books make an appearance in Horrible Bear! Read this carefully to see if you can find them. 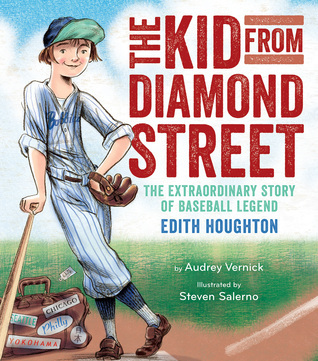 As someone who isn't a fan of baseball, I'm always amazed at how much I become a fan inside the pages of an Audrey Vernick book. Her writing is that engaging. 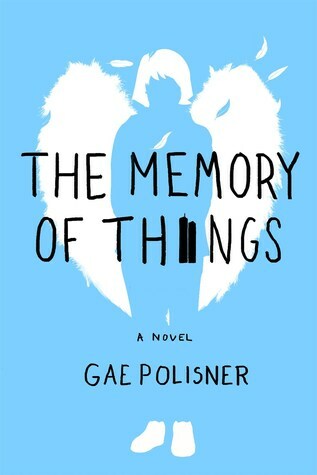 So excited I got approved to read this on NetGalley! I'm enjoying this book but it has been slow going for me. I'm listening to this, but I also checked out a physical copy of the book at the library so as not to miss out on the stunning illustrations. Celebrate National Parks Week with National Geographic Kids! 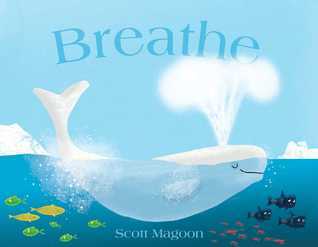 If that video doesn't inspire you and your family, here are some books from National Geographic Kids to get them to want to add the National Parks to their bucket lists. Book descriptions are from Goodreads. More than two hundred million people visited our national parks in 2009. 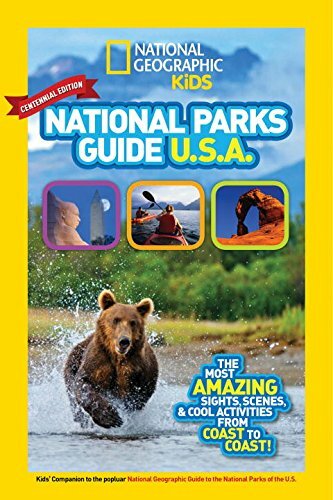 National parks are some of America's most treasured places, and the National Geographic Kids National Parks Guide U.S.A. is the perfect way to bring the fun and amazement of these majestic places to kids. Divided by region, (Northeast & Southeast, Midwest, Southwest, and West), this guide is both accessible and tons of fun. NG Kids color treatments, full-color photographs, and layering of information make information jump off the page. 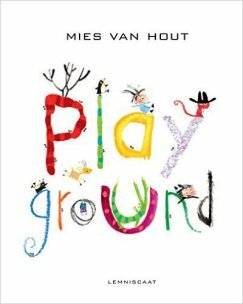 Features include tips on exploration, information about animals, sidebars, checklists, fun facts, maps, cool things to do, and much more. Conservation information, a find out more section, glossary, and index add ample back matter to round out this book. Calling all explorers and nature-lovers! 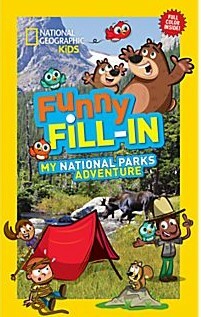 From Acadia to Zion, discover all 59 of the United States' amazing National Parks in this jam-packed book of games, trivia, jokes, fun facts, and so much more, all inspired by the National Parks outdoor-based Junior Ranger Program. Great for generating pre-trip excitement, long car rides, poking around historical sites, or general learning, these fun and sometimes silly activities will entertain while they draw kids into the majestic and historic importance of America's national parks. Check out the most amazing park habitats, plus awesome sights and animals you might see, from birds to bears. Fun facts are jam-packed onto every page, so kids learn something amazing about each cool park. Butterflies flutter, birds soar, and geysers burst into the sky. 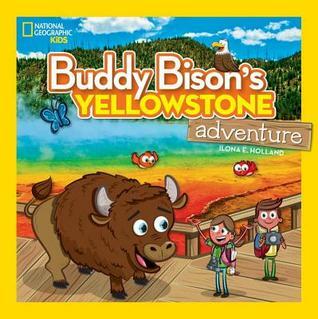 Join Buddy Bison and his two new friends as they explore the majestic Yellowstone National Park. Breathtaking photographs of Yellowstone serve as the backdrop for the wacky adventures of a curious pair of twins, Elena and Christopher, who are spending the summer with their aunt Rosa, a park ranger. Instead of waiting patiently when their aunt gets an emergency call, Christopher wanders off. That's when Buddy Bison, the adorable plush toy clipped to Elena's backpack comes to life and to her aid. 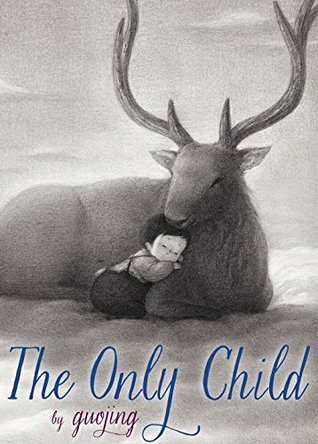 The unlikely pair heads out on a wild adventure through Yellowstone to search for her brother. As soon as Buddy leads Elena safely to her twin, her new oversized pal disappears. What happened to Buddy Bison? Did Elena imagine him or did he really come to life? 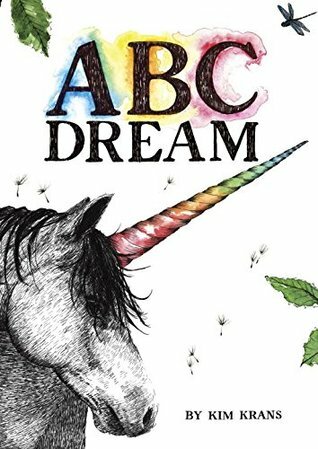 This charming tale is sprinkled with helpful tidbits about the park, weird-but-true facts about the animals, and more fun facts kids adore. A comprehensive afterword offers a short history of the park and ways kids can get involved in parks preservation. Former NatGeo staffer Jonathan Irish travels the country, visiting all 59 National Parks in 52 weeks. I'm giving away all four of the National Geographic Kids books mentioned above.